People move to Central America and write about their lives and experiences here. They provide insight, travel info, opinion, and news. Kind of like we try to do. Here’s a list of our favorite Central America lifestyle and travel blogs. I used to hate blogs and blogging and the *choke* blogosphere. The blogs I hated were the personal blogs. I should qualify that. Business blogs never bothered me. Blogs about writing and marketing were fine. I liked food and travel blogs. It was the personal blogs that bugged me. You know, where someone wrote about their lives expecting people to care. I used to think these blogs were an excessive exercise in self-indulgence. And I was wrong. One of the Costa Rica Facebook groups I’m in shared my disdain for these types of blogs back in the day. I remember the pleasure we took in deriding wide-eyed and happy idealists posting their Yoga-Mom-in-Costa-Rica or How-I-Found-My-Safe-Space-In-The-Jungle blogs. In particular, I remember a blog belonging to someone we called “Caramel Girl”. Her blog was about life, love, spirituality, and finding herself. She posted it once and got flamed. I’m sure I flamed her as much as everyone. It wasn’t by design, more by total coincidence. Also, because Costa Rica is small and everyone ends up meeting everyone if they stick around long enough. Anyway, Caramel Girl landed a job with us and I met her that way. And guess what? I liked her and I felt bad about slagging off her blog so much on social media. Even though I’m not into that touchy-feely stuff, after I met her, I took another look at her blog and I didn’t hate it. I could see why some would find it useful. And I stopped being cynical for the sake of being cynical. It sounds ridiculous, but Caramel Girl changed my opinion on personal blogs. I stopped thinking of them as self-indulgent personal crap and more as hearing from a friend. Some blogs are self-indulgent twaddle. But others provide great info that beats Wikipedia or travel guides written by people with no in-depth knowledge of the place they‘re writing about. These blogs are like receiving trusted info from a friend on the inside. The key is determining the difference between the good stuff and the bad stuff – and there’s a lot of bad stuff. But do you have the time for that? How good would it be to have a go-directory of blogs to check out related to whatever you’re interested in? To save you wading through the piles of crap. If you’re reading this website we assume “whatever you’re interested in” is Central America. Maybe you’re interested in moving here and want to know like-minded people who’ve already come down. Or you’re traveling through and seek the insights of other travelers who live here. Could be you’re looking for news stories or opinion or satire. Perhaps you’ve always enjoyed reading about life in foreign lands. We’ve put together a list of Central America lifestyle and travel blogs we like. They cover life all across the Isthmus and if you care about this part of the world, we recommend you bookmark them. And if you feel the same as I used to about personal blogs, there are some business ones listed here. Or maybe one of the personal blogs here will strike a chord. Rebecca Coutant lives on Ambergris Caye, Belize. Here she talks about life on the island and around the rest of Belize. If you want to know what moving to Belize is like, make this your first stop. If you‘re looking for the best breakfast burrito in Placencia, these guys will tell you. They are fully integrated into the Placencia community and know everything going on here. In fact, they’re probably planning it. Are you traveling or moving to Belize? Or just interested in the place? This San Pedro-based info source is a one-stop shop, no matter what you’re looking for in Belize. An all-encompassing resource on Antigua, Guatemala. Think of this blog like the famous Time Out franchise you see in the US and Europe (Time Out London, Time Out New York etc.). Except this is for Antigua, Guatemala. More of a magazine than a blog, Que Pasa also comes in physical form in both English and Español. A news and politics site for those interested in what’s going on in El Salvador. Tour guide Alfredo Avalos has been showing people around his beloved El Salvador for years. Now his Explore El Salvador blog allows him to do the same thing online. “Deep sea tales of a traveling 20-something” who ended up living life on the Bay Island of Utila, Honduras. A simple concept here. Building up an online community around the island of Roatan. They do it well. John Dupuis came to Honduras a long time ago and has been a mover and shaker in the tourist industry ever since. This is his online resource. 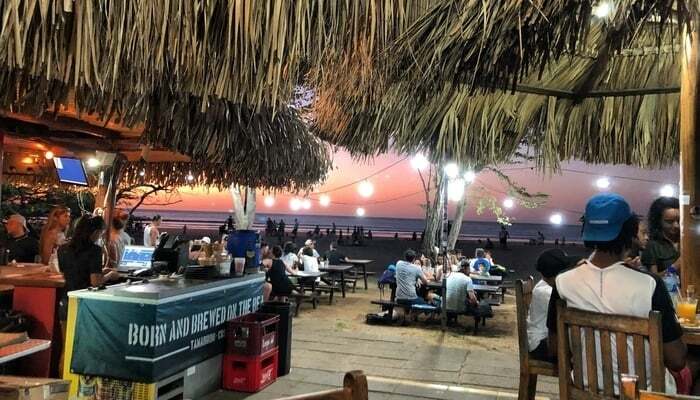 Life has changed in Nicaragua over the past year and many expats are long gone. These guys stayed though and this real estate-oriented blog offers practical advice on living in Nicaragua. The Ortega dictatorship in Nicaragua has quashed most decent journalism in the country and it’s hard to find news, especially in English. Confidencial tries to address this in both English and Spanish. Important work. If you like satire you’ll like this site. But you need to live in Costa Rica to appreciate it otherwise it might go whooshing over your head. Offensive to many, this blog cuts close to the bone and is laugh-out-loud funny. One of the best travel resources in Costa Rica. A Tico/Gringo couple (he’s Tico she’s Gringa) runs this blog and you get a mix of tourist info with a local flavor. A collective of expat foreigners and Ticos writing about their favorite subject – Costa Rica! Rather less of a blog than a news site, the Tico Times launched in 1956 and has been the major source of English-language news in Costa Rica ever since. Whether you’re coming for, well, two weeks in Costa Rica or moving here for good you’ll find this a useful resource. Everything you need to know about living in or visiting Central America’s most exciting capital Panama City. “Unfiltered Panama news. What’s up and going down in lifestyle, tourism, environment, crime, and development”. That’s what it says on their banner and we couldn’t agree more. You’ve no doubt noticed that the above lifestyle and travel blogs are in English or we’ve linked to their English-language versions. That’s deliberate because we’re an English-language Central America lifestyle and travel blog ourselves. We’re not vain enough to list ourselves with the above blogs but we hope we rank among them! But there are plenty of Spanish resources out there and one day we’ll cover them for you. In the meantime, following any of the listed blogs will give you a better idea of what life is like in Central America. You might not be here but we hope you can walk in the virtual shoes of some of these bloggers. We hope you can get to know them and why they came to Central America. And that, as Caramel Girl taught me many years ago, is kind of the point. If you know any great Central America lifestyle and travel blogs we’ve missed out please let us know in the comments. We’re always looking for more!